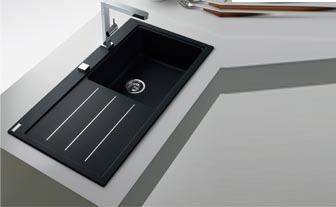 FRANKE’s Mythos Fusion is the latest from its range of Fragranite composite sinks. Fragranite+ technology, which is available on all Franke Fragranite and Silk Sheen Fragranite sinks, ensures ultra-smooth surfaces that are exceptionally easy to keep clean. Besides, the integrated Sanitized® hygiene function in Fragranite sinks helps to keep them clean and provides the sink with lasting protection. According to the company, Fragranite treated with Sanitized® reduces bacteria and microbe growth by 99%. Mythos Fusion is offered in two sizes, and in Pure White and Onyx colours. Prices start at Rs 25,000.